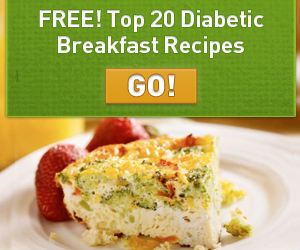 Get this amazing downloadable booklet with Free Top 20 Diabetic Breakfast Recipes. Just Click here to fill out a form and get yours for FREE! If you are diabetic, this Top 20 Diabetic Breakfast Recipes booklet will help you make better meal ideas while maintaining your blood sugar levels. Click here to get this Free Recipes booklet. 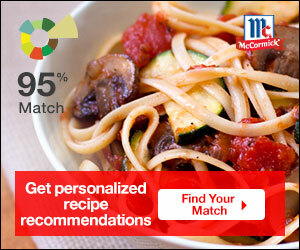 Finally, you will get your personalized recipes! Get Free Sun-Maid Recipe Booklets. Just fill out the form and choose between the 100th Anniversary Cookbook or the New Taste of Tradition. 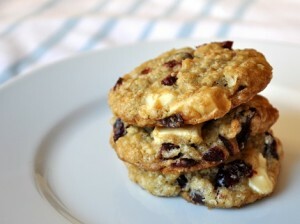 Great recipes in each book like Raisin Bran Muffins, Banana Raisin Bread, Yogurt Raisin Cookies and more! From their site: Sun-Maid has served consumers and customers since 1912 by providing premium quality raisins and dried fruits from the raisin and fruit farms of California to homes and eating establishments around the world. As a cooperative, Sun-Maid Growers of California is owned by family farmers who grow raisin grapes all located within 100 miles of each other in the Great Central Valley of California, midway between Los Angeles to the south and San Francisco to the north. Bacon is the biggest trend in food right now, so it is perfect that this amazing free Kindle book would come out right now. 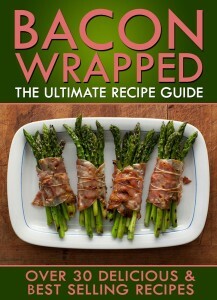 Bacon Wrapped: The Ultimate Recipe Guide – Over 30 Delicious & Best Selling Recipes by Jonathan Doue is 72 pages of bacon wrapped recipes to satisfy any bacon lover! Don’t have a Kindle? You can still read Kindle books on your computer or mobile device by downloading the free Amazon Kindle Reading Apps. You can get the best reading experience on your Android phone or tablet, iPad, iPhone, PC, Mac, BlackBerry, or Windows Phone 7. Note: Pricing may change daily or more frequently. Please check your cart at checkout to make sure it is still $0.00. The idea of going on a Paleo “diet” is to give your body what it was made to have: real food, not diet food. 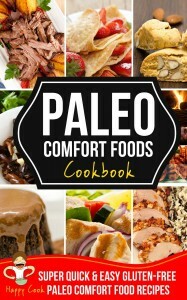 This 206 page free Kindle book is filled with the best and most comforting Paleo recipes out there. Be sure to download PALEO COMFORT FOODS Cookbook | Super Quick & Easy, Gluten-Free Paleo Comfort Food Recipes by Happy Cook before it goes back up to its full price of $15.99! We all start the school year excited. We put lots of energy and imagination into packing the kids’ school lunches, but after a while we end up with pb&j with chips. Not anymore! Here is a free and helpful Kindle recipe book to help with ideas for healthy school lunches (and other meals, too!). 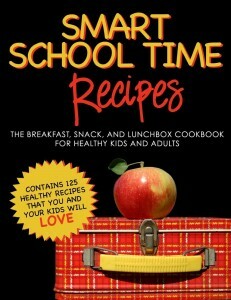 Download SMART SCHOOL TIME RECIPES: The Breakfast, Snack, and Lunchbox Cookbook for Healthy Kids and Adults by Alisa Marie Fleming while it’s free! Looking for easy to prepare, warm, and comforting meals for the fall and winter seasons? Here is a free Kindle book created just for you! 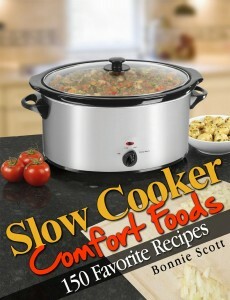 Regularly $9.99, Slow Cooker Comfort Foods by Bonnie Scott is filled with 150 yummy and comforting recipes for the whole family. Grab it now before it goes back to regular price! Let’s face it: Most men would rather eat burgers and other junk instead of salads and baked chicken. This free Kindle e-book will help you make healthy, but man-friendly meals that he will be happy to eat. 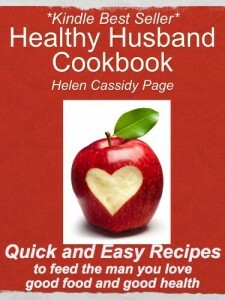 Download Healthy Husband Cookbook:Quick and Easy Recipes to Feed The Man You Love Good Food And Good Health by Helen Cassidy Page for free right now! Looking for the perfect cookbook with comfort foods like mom used to make? This FREE Kindle recipe book has 500 recipes to choose from and sure to suit any occasion. 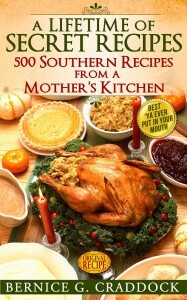 A Lifetime Of Secret Recipes: 500 Southern Recipes From A Mother’s Kitchen by Bernice Craddock is free right now! Thinking about trying the Paleo diet to lose weight and feel healthier? Want to be gluten-free to recover from whatever ails you? Or just looking for healthy and natural meals for your family? This free Kindle book is perfect for you to learn more and get yummy recipes for all your meals. 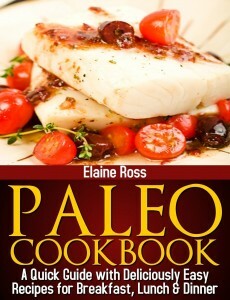 Paleo Cookbook : A Quick Guide With Deliciously Easy Recipes For Breakfast, Lunch & Dinner by Elaine Ross is free for a limited time, so grab it now!